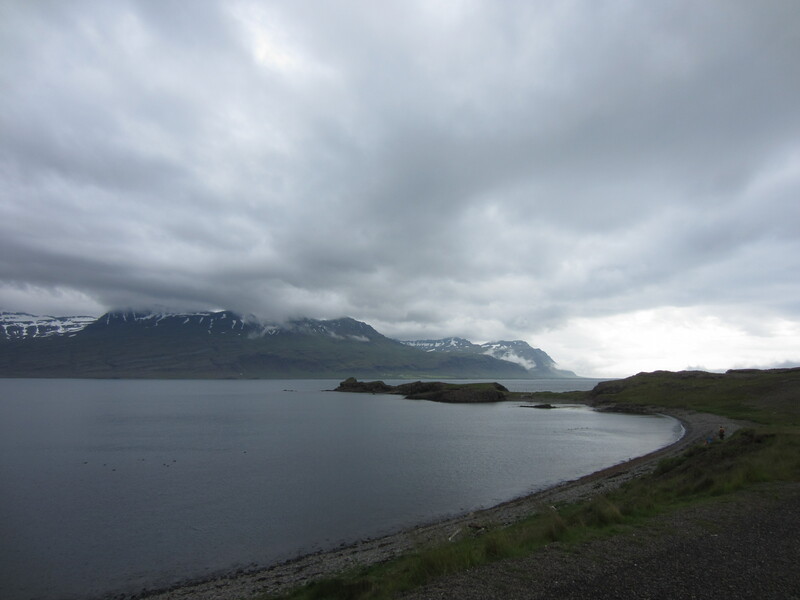 Seyðisfjörður, on the far east coast of Iceland, was a ghost town. A low fog had settled on the streets, whiting out the backdrop and limiting visibility to just the few houses around us. On a clear day, we might have seen tall, snowy mountains, a still blue fjord, and a community of coloured wooden houses planted alongside a wooden church. There were puffins nearby, and we were waiting for a break in the weather to reach them. I warmed my hands on my coffee cup and looked out the window. 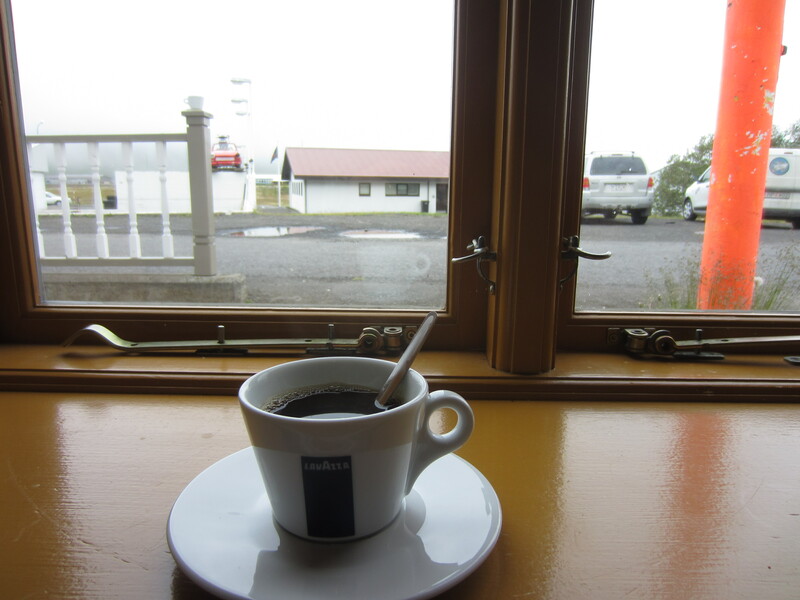 Thankfully, the inside of the cafe was warm. Cindy and I had pizza, and hot soup. The weather made Seyðisfjörður an eerie place, almost as if something from a horror movie. 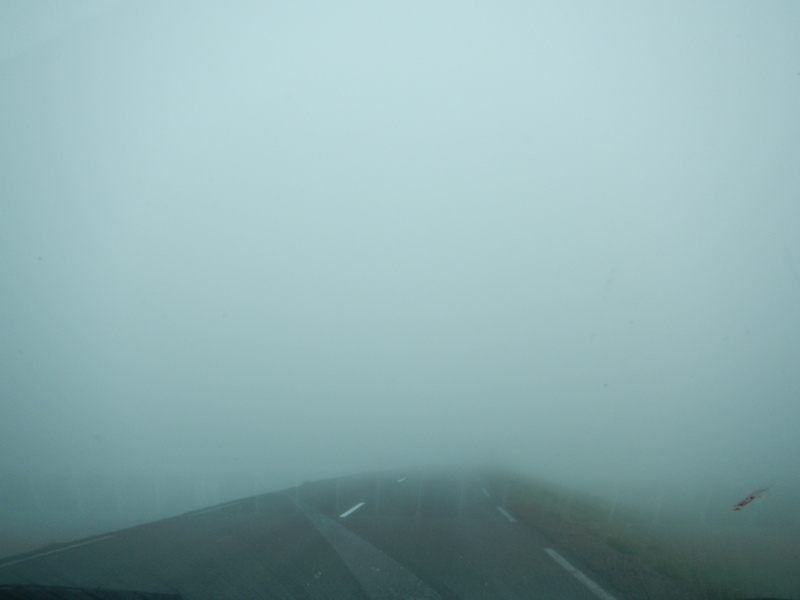 It had been a hell of a drive getting in – obscured by fog, the mountain road had been almost invisible. The cliffs, the other cars, it had been almost impossible to see the dangers. The long road from Höfn to the ghost town of Seyðisfjörður had looked like something from a Jaguar commercial. Long, sweeping bends traced the shores of the fjords, climbing high into the mountains, flirting with sheer cliffs with short guardrails to stop our car from falling into the tumultuous, rocky sea below. 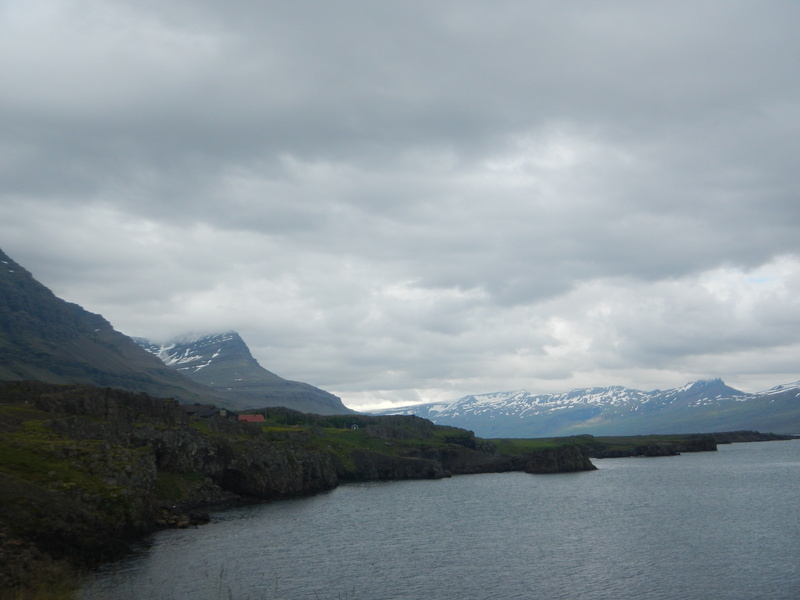 The mountains in the east of Iceland were rocky and jagged, and were layered with snowcaps on their highest peaks. All the mountains seemed to have a particular Icelandic style; the dramatic rocky mountain top, and a long, sloping grassy base, as if sculpted by thousands of years of wind. 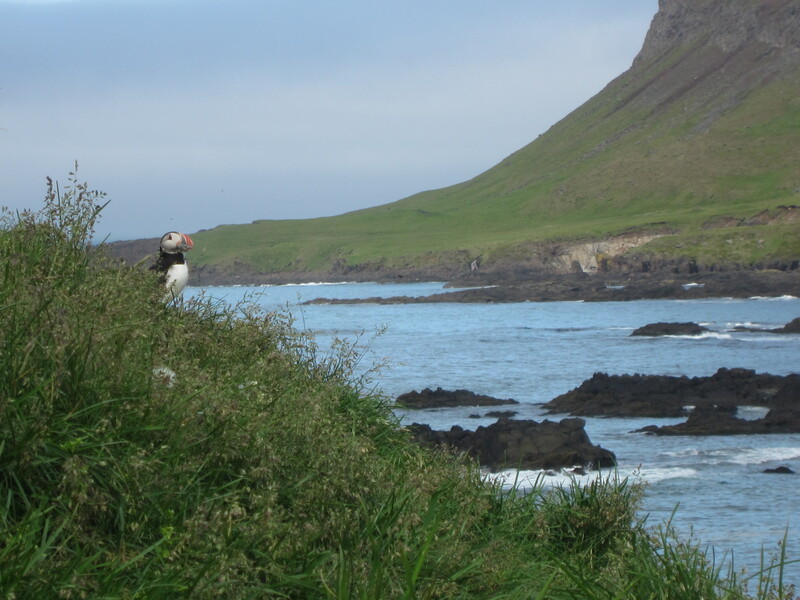 We wanted to drive to Bakkagerði, to see wild puffins. Bakkagerði was on the sea, on the other side of a mountain range. The way there was route 94, a long, gravelly, spine-shaking off road highway. It led towards a mountain range. The clouds were misbehaving here, lying lower than usual. One was dead ahead. It draped low in front of the mountains, so low as if swallowing the road ahead. We passed through it, just a few seconds of whiteness, and then we commenced the mountain climb. The way was steep and winding, and it was cold enough that the snow at altitude didn’t melt. At the top of the mountain pass, the clouds had completely enveloped the world – the snowy roadside, the other cars, the road itself – everything was gone. 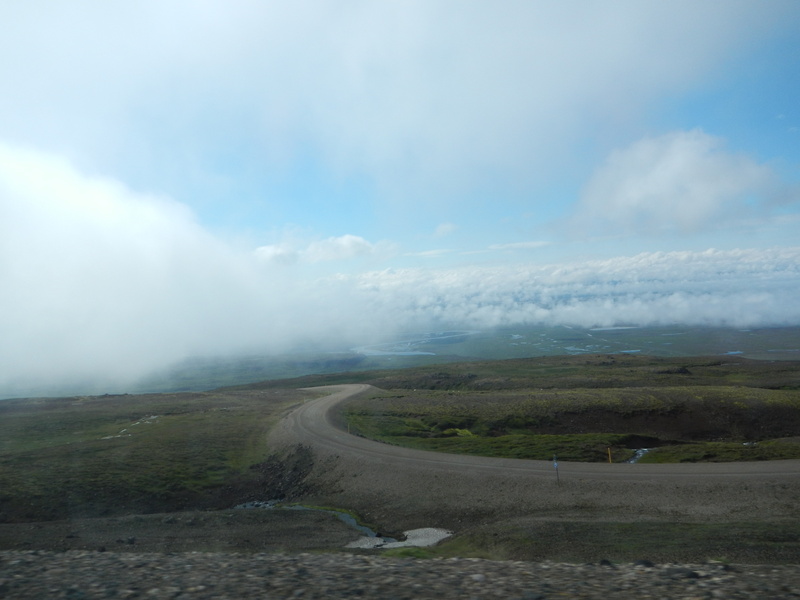 It had been like this on the drive to Seyðisfjörður, too. Cautiously, I slowed to about 30km/h. I could only see one or two road markings in front of me. I drove with headlights and hazard lights. Cars would appear from the mist suddenly, their dim headlights ethereal as they rolled past. Somewhere near the top of the range, I noticed the sheer drop alongside the road. It, too, was mostly hidden by fog. An unsettling thought. I slowed down and gripped the wheel a little bit tighter. 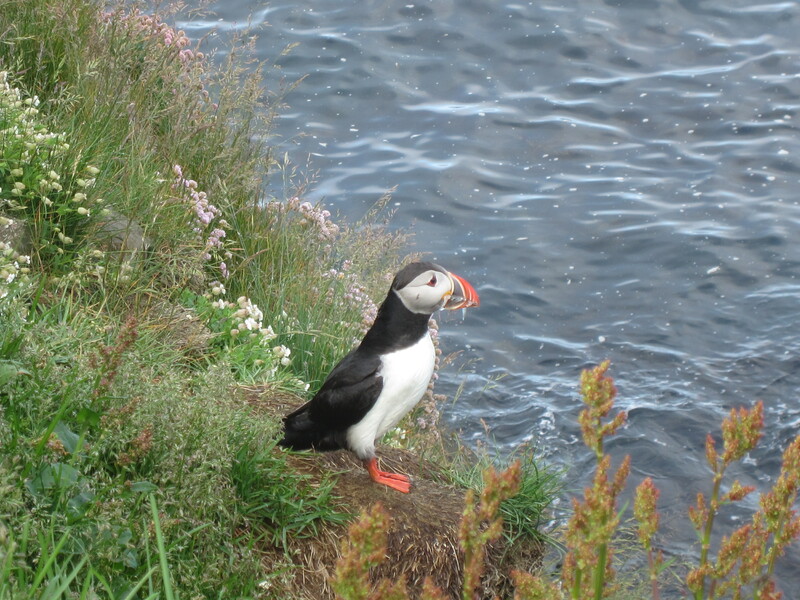 We found the puffins nesting and fishing at the end of a small peninsula, high atop an outcrop of sea rocks. The sea was lapping below. Several of the foot-high birds stood guard, turning their distinctive red, cream and black beaks to inspect everything that moved. They looked like cartoons, with big heads, sad eyes, and oversized beaks stuffed with fish. 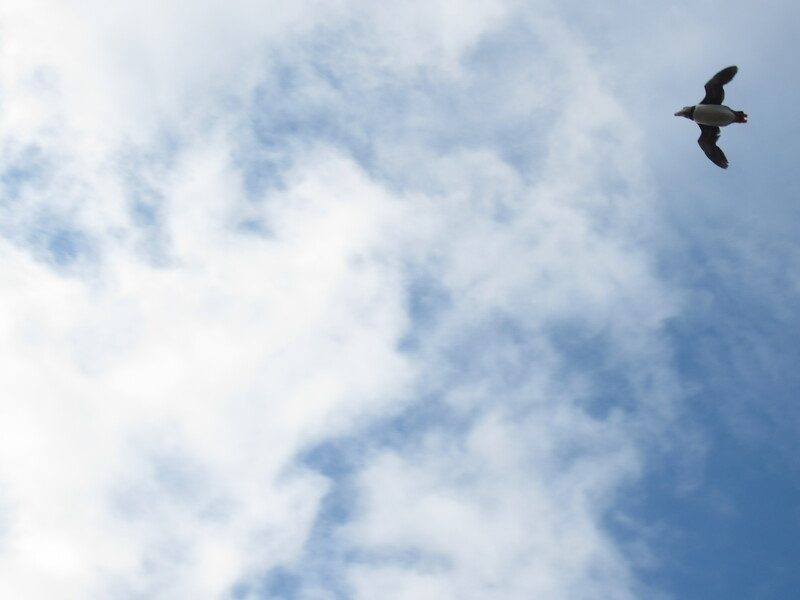 Others flapped past in short bursts of flight, their short wings beating furiously as they circled their nests. The fisherman puffins dive-bombed the sea. 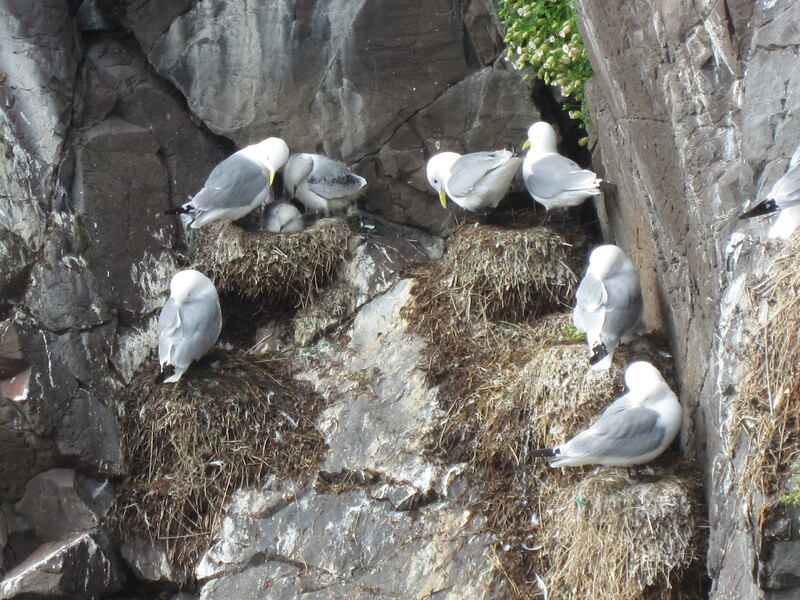 They shared their home with noisy seagulls, screeching and complaining noisily in their cliffside nests. 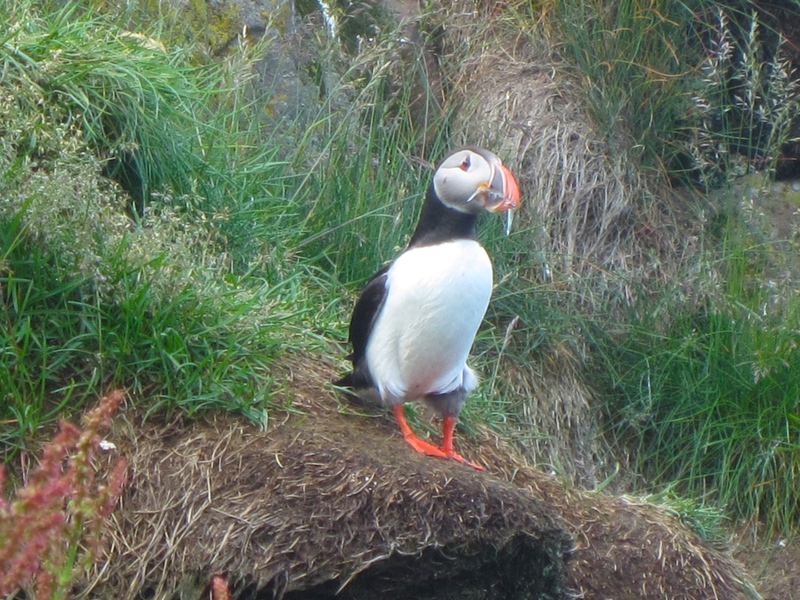 It was a long, terrifying, white-knuckled drive to get here and see the puffins. But they were great. Thanks to google maps I do!